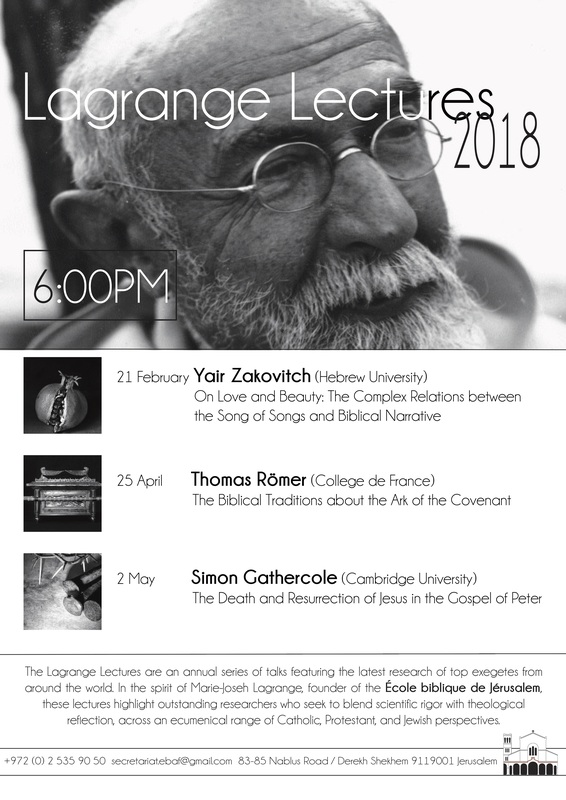 The Lagrange Lectures are an annual series of talks featuring the latest research of top exegetes from around the world. In the spirit of Marie-Joseph Lagrange, founder of the École biblique, these lectures highlight outstanding researchers who seek to blend scientific rigor with theological reflection, across an ecumenical range of Catholic, Protestant, and Jewish perspectives. Lectures on line ? Please, click on this link !